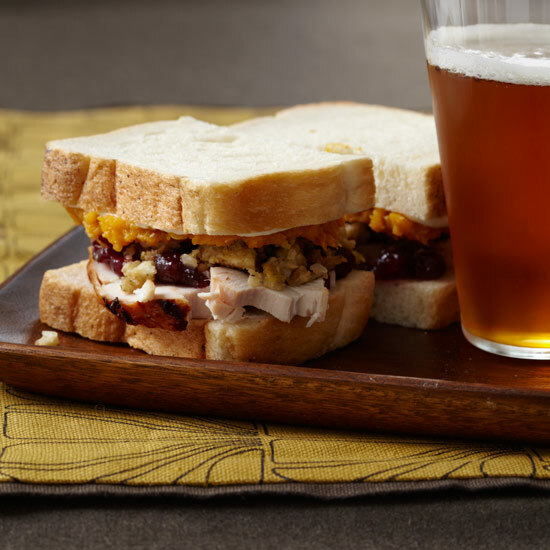 Stack the turkey, cranberry sauce and stuffing on half of the bread slices and season with salt and pepper. Slather the remaining bread slices with mayonnaise and the squash puree, close the sandwiches and serve. A simple, direct, fruity blush wine will stand up to the sweet and tart flavors in this sandwich. Try a chilled White Zinfandel from California.